Okay, not in Shaw, and I was thinking of another Metropolitan church, probably Baptist that used to be on R Street. Well since it’s in the 1957 Church Survey, may as well get this posting over with. 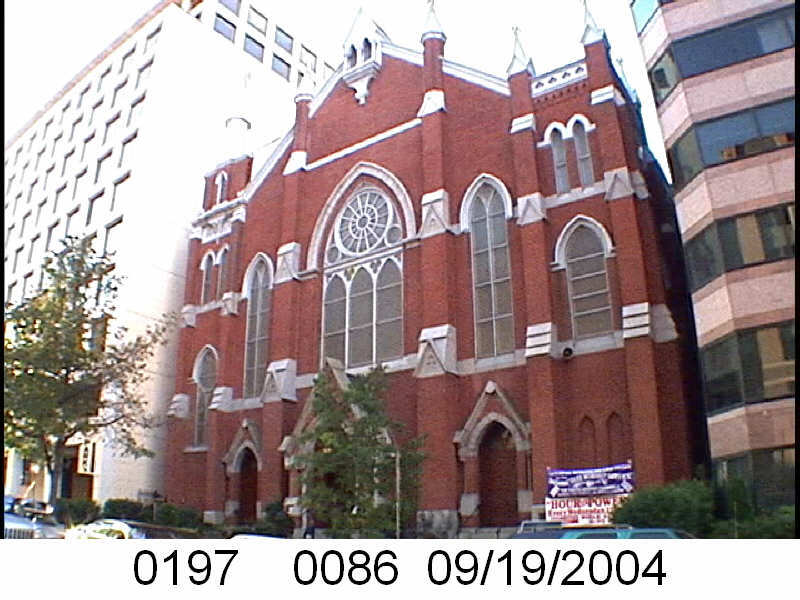 I’m using the DC government’s PropertyQuest site to located existing churches and the 2004 photographs I don’t want to take. Okay so Metropolitan AME is in the Downtown area is sandwiched, as you can see from the photo, between two office buildings. In 1957 the lot value was $74,448, now it’s $17,137,180. 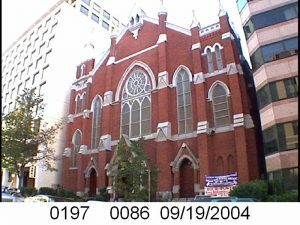 Metropolitan in 1957 was a fairly large African American church with about 1200 members, of which only 450 showed up on any given Sunday. A huge chunk of the membership were professionals, white collar workers, and skilled labor. In the survey, they didn’t give any numbers for the geographic disbursement of their membership, but said a number lived in the Northwest Urban Renewal Area.